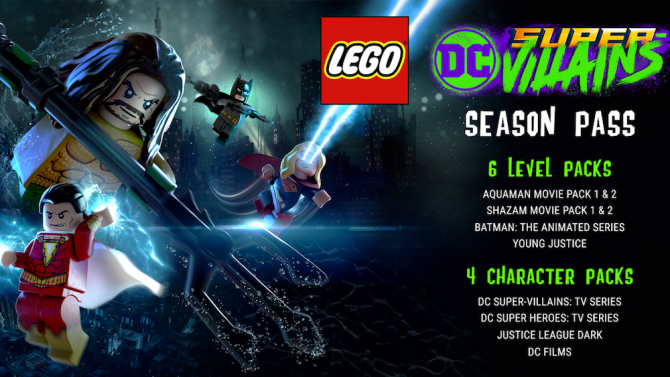 LEGO DC Super-Villains may appeal to DCAU and LEGO game fans, but you'll be disappointed if you're looking for much else. Before I delve into LEGO DC Super-Villains, it’s important to take my history with the LEGO series into account. While I’ve fallen out of playing LEGO games in recent years, the series is a pivotal part of the formation of my love of gaming. The first home console I used frequently was the original Xbox, and one of my first games for it was LEGO Star Wars: The Video Game. It was a game that helped bridge my love of movies to my love of gaming and was a series I followed closely for years. LEGO Star Wars II: The Original Trilogy is one of the first games I remember actively being excited and following news for. Another huge LEGO game release for me was the LEGO Batman: The Videogame, which brought my love of comics and classic DC Animated Universe (DCAU) cartoons into the mix as well. I have fond memories of playing it with my brother, and it’s the only licensed LEGO sub-series I have kept my eye on even after I grew out of the fairly simple LEGO titles. For that reason, LEGO DC Super-Villains premise and more roguish marketing caught my eye as it finally looked like the Traveller’s Tales was trying to do something different than their usual shtick. 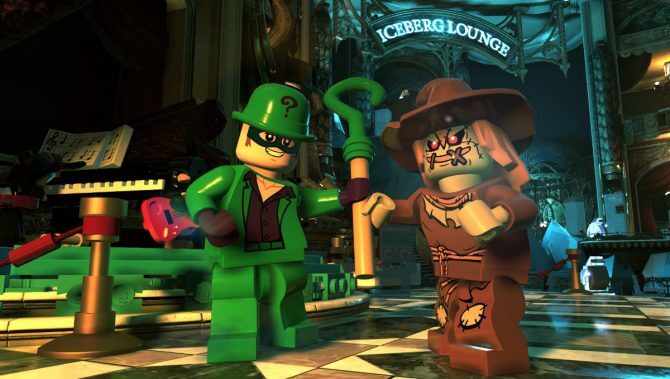 LEGO DC Super-Villains does ultimately succeed in feeling unique, as it has a more distinct tone than most LEGO games brought to life by excellent voice acting and even tries to give combat a bit more depth than usual. 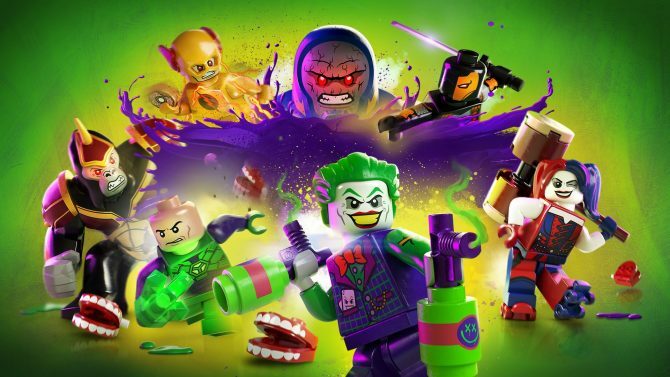 Though like many of the children the game appeals to eventually will, LEGO DC Super-Villains seems to be going through a rebellious and experimental phase. Sadly, it doesn’t fully pay off due to technical problems, cluttered controls, and very simple gameplay, even with the combat and customization improvements. The story of LEGO DC Super-Villains starts off as a very loose adaption of the 2013/2014 comic book event Forever Evil, though it quickly evolves into something different. While the writing and jokes are incredibly basic and simple for the most part, I can still appreciate how the plot allows LEGO DC Super-Villains to feature a smorgasbord of DC characters, good and evil, for players to get acquainted with. Short bios exist for each character as well, so this is definitely a decent way for newcomers to get to know DC’s more obscure villains while also cementing their love for the greats. If you have a child who wants to get into or that you want to introduce to DC comics, LEGO DC Villains is definitely a decent stepping-on point before making the jump to actual comics. While shows like Batman: The Animated Series and Justice League served that purpose for me, I’d be happy if this game does that for someone else. As I mentioned before, the writing isn’t anything to laud or on par with DCAU shows, unfortunately. While I still prefer the pantomime days of yore from a LEGO game storytelling standpoint, I didn’t always mind the rudimentary dialogue thanks to the voice cast, which is filled with DCAU alumni. Maybe it’s just nostalgia talking, but there’s always something special about seeing portrayals such as Mark Hamill’s Joker, Clancy Brown’s Lex Luthor, and Micheal Ironside’s Darkseid (for the first time in over 10 years!) in action once more. 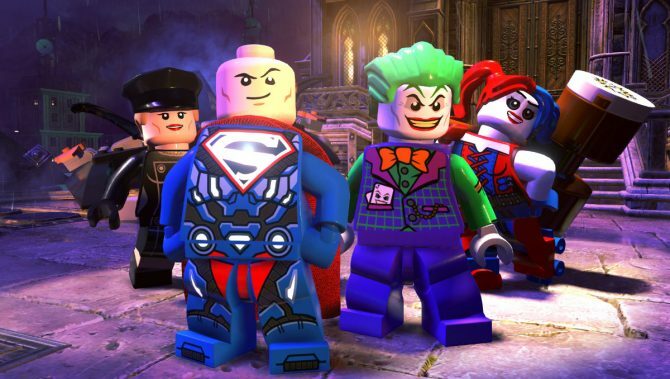 While several older comic book fans may be turned off by some of the game’s other problems in both gameplay and writing, many will still get some nostalgic enjoyment out of LEGO DC Super Villains for the voice cast alone (myself included). That being said, the rebellious punk tone the game in things like music choice doesn’t always mesh well with the obviously kid-oriented writing and gameplay. Circling back to story itself, the game begins with several villains breaking out of Stryker’s Island and Arkham Asylum.While the breakout is ultimately successful despite the Justice League’s intervention, the team of heroes is kidnapped by their evil Earth-3 counterparts the Justice Syndicate. While Harley Quinn is able to relay that fact to rest of the villains, the world as a whole doesn’t believe them as the Syndicate has situated themselves as the world’s new heroes. The villains then team up to take the world back while also committing crimes and causing tons of destruction along the way. 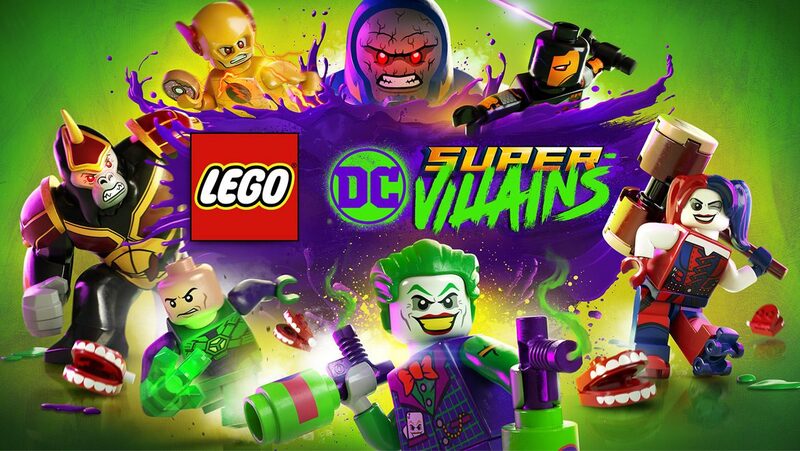 It could be seen as a bit more mature than other LEGO game plots, but as I mentioned it’s ultimately harmless as LEGO DC Super-Villains stays kid friendly in other ways. A player created character also plays a pivotal role in several of the game’s events, often serving as a silent MacGuffin. On that note, LEGO DC Super-Villains actually begins in an extensive characters for players to craft their own villain in. While games as far back as LEGO Star Wars II: The Original Trilogy have featured this, none are as in-depth or impact gameplay as much as this one. Players can design and give powers to their own villain, with more options opening up as the game progresses. Personally I created my own interpretation of Arkham Knight (BATMAN: ARKHAM KNIGHT SPOILERS if he wasn’t Jason Todd) who dons a hood and wields ice axes. 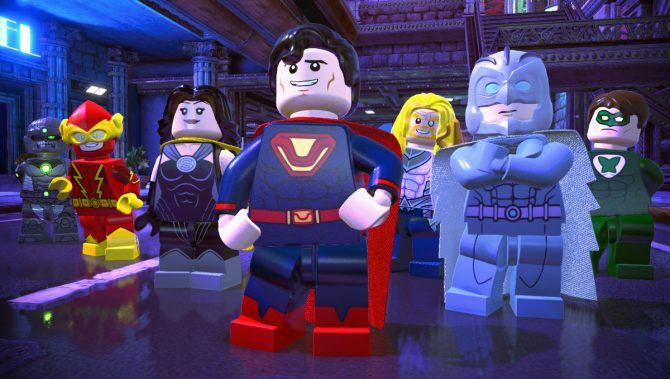 The fact that the story gives your villain and clear origin as well as several additional powers takes some wind out of things, the character creators is still the best chance you’ll have to realize an idea you’ve had for a DC character in a LEGO Game yet. While your Rookie villain is the focal point of the game, there is no shortage of villains and even heroes to play as. Some fun and unexpected combinations can be created, and are accentuated further by co-op, which is still the most preferable way to play a LEGO game. Sadly, gameplay is ultimately the weakest link of LEGO DC Super-Villains. It tries very hard to make this not the case, but it’s simplistic nature, glitches, and cluttered controls counteract most of the small strides made. The biggest improvements have come to combat, which isn’t just a mash one button affair anymore. Enemies can have different attacks, armor, and movement options that some villains are better at dealing with than others. Each villain also has special abilities that can be used to take down combat. These improvements do mean you actually have to pay attention during combat, but fights LEGO DC Super-Villains are still incredibly easy as you’ll pretty much always have multiple characters to choose from and death just resulting in the loss of studs isn’t very punishing unless you’re a completionist. These are aspects of gameplay that I doubt will ever change do the inherent nature of LEGO games being oriented at children, but the developers are definitely doing as much as they can in terms of combat in their self-imposed confines. Puzzles within each level also manage to be varied, though none are ever mentally strenuous because of the constant bombardment of tutorials and hints in LEGO DC Super-Villains. The game also features an open world, and while it obviously pales in comparison to titles like Red Dead Redemption 2 or Assassin’s Creed Odyssey, it’s still filled with easter eggs and a good way for younger players to get their feet wet in the genre. That being said, it was a bit too big for what the game was going for, leading to boring downtime between missions and the occasional sidequest. Causing trouble and getting the cops on you isn’t very fulfilling or hard to get out of, and driving controls horridly. Eventually, I ended up just choosing characters with super speed to get to objectives as fast as possible, and never really felt like I was missing out on much. LEGO DC Super-Villains simplicity and a mediocre open world aren’t as frustrating as the technical problems or control clutter though. Even weeks after launch, the game is still very buggy and can actually soft-lock you in missions due to an event not triggering or an AI enemy getting stuck somewhere you can’t get to. As is to be expected, friendly AI is really bad as well, hurting the single-player experience, though the control clutter can do that as well. The game maps way too many actions to only three buttons: triangle, circle, and square (on PS4). Some abilities require a press, others require you to hold the button, and some are entirely contextual in very specific spots. Triangle also lets you switch characters, so throwing that into the mix makes using abilities mapped to that button cumbersome. While LEGO DC Super-Villains isn’t difficult at all, these cluttered controls remained a persistent frustration and one that could’ve easily been solved with better button mapping. These problems ultimately mean LEGO DC Super Villains only comes recommended to a certain crowd despite its attempts to be more than that. If you are an older gamer just looking a for a new open world action-adventure game to mess around in, you should pass this up. 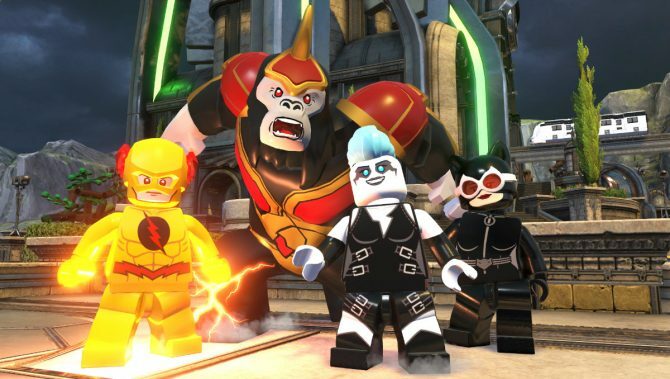 If you are young and want to get into comic and open world games or just want something nostalgic to fill the hole left by the conclusion of the DCAU, LEGO DC Super-Villains is worth checking out, though maybe at a price drop. I’m ultimately sad to see that I have grown out of a franchise I once loved, with underlying problems that I may have not noticed as a child building on top of one another to make LEGO DC Super-Villains much less enjoyable than I thought it would be. I may still return to LEGO DC Super-Villains in the future if I’m in the mood for some DCAU voice acting or want to play the TV show and movie themed DLC, but at this point I can tell that I’m done with the LEGO franchise as a whole, which is a shame. 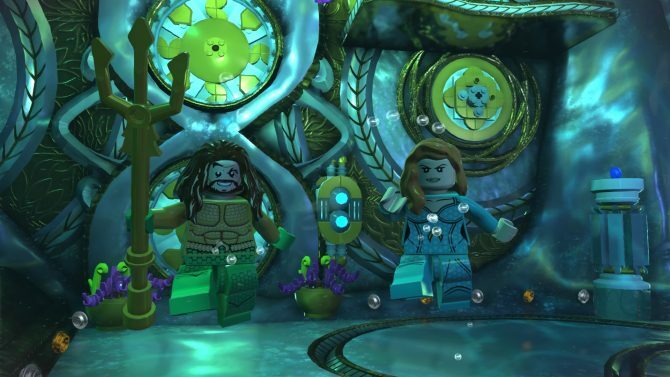 If you've ever wanted to play as a LEGO Jason Momoa, both Aquaman DLC packs for LEGO DC Super-Villains are now out.